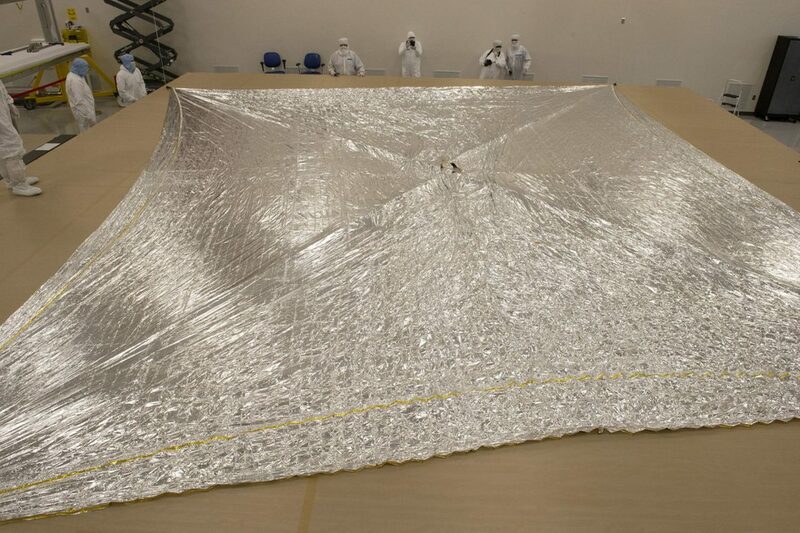 The NEA Scout solar sail is deployed at the NeXolve facility in Huntsville, Alabama. 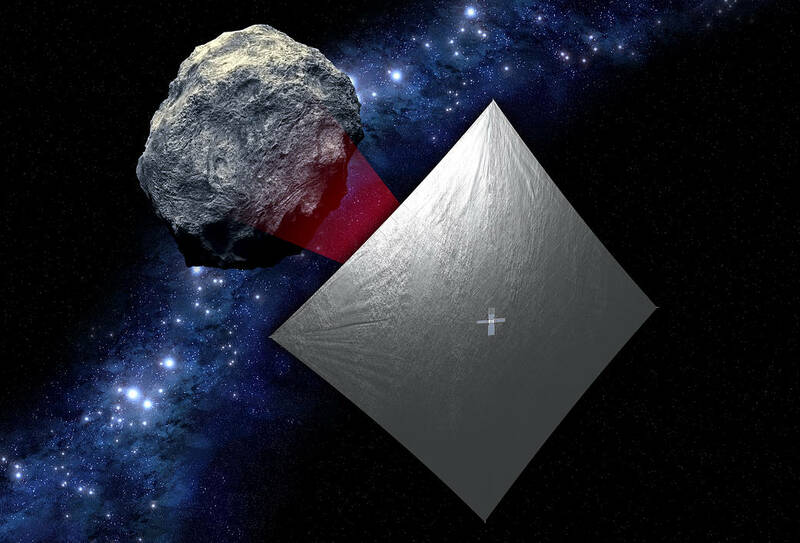 On June 28, 2018 NASA conducted a successful deployment test of the solar sail for the space agency’s Near-Earth Asteroid Scout (NEA Scout) CubeSat mission. NEA Scout is a small satellite designed to study asteroids close to the Earth and is scheduled to launch on Exploratory Mission-1 (EM-1). The test was conducted inside a clean room at the NeXolve facility in Huntsville, Alabama. NEA Scout is one of 13 CubeSats selected to fly as secondary payloads on EM-1, the first integrated test launch of NASA’s Space Launch System (SLS) rocket and Lockheed Martin’s Orion spacecraft. In addition to testing these integrated systems, the flight should provide a rare chance to send small satellites into deep space where they can conduct science missions and test new technologies beyond low-Earth orbit. NEA Scout is designed to deploy from the SLS after the Orion spacecraft separates from the launch vehicle’s upper stage. If everything goes as planned, NEA Scout should then deploy its solar sail using four arms, called booms, to hold the sail. The sail is square in shape, with each side about the size of a school bus. The sail will harness the light of the Sun to propel the spacecraft. Once the sail is deployed, NEA scout will travel to and fly-by an asteroid, capturing photographic images and data that will help scientists better understand both the asteroid itself as well as the risks and challenges that may face future human exploration missions. The first CubeSats to travel into deep space were the twin Mars Cube One (MarCO) spacecraft which launched with NASA’s Mars InSight mission on May 5, 2018, and are currently on their way to Mars. Spacecraft like NEA Scout are described as being the next step in demonstrating how innovative technologies could take science instruments further out into the solar system.